A successful email marketing starts with lead building. Oempro’s new Smart Subscribe Plug-in allows you to collect leads much efficiently. This plugin will boost your new lead subscription rates amazingly. 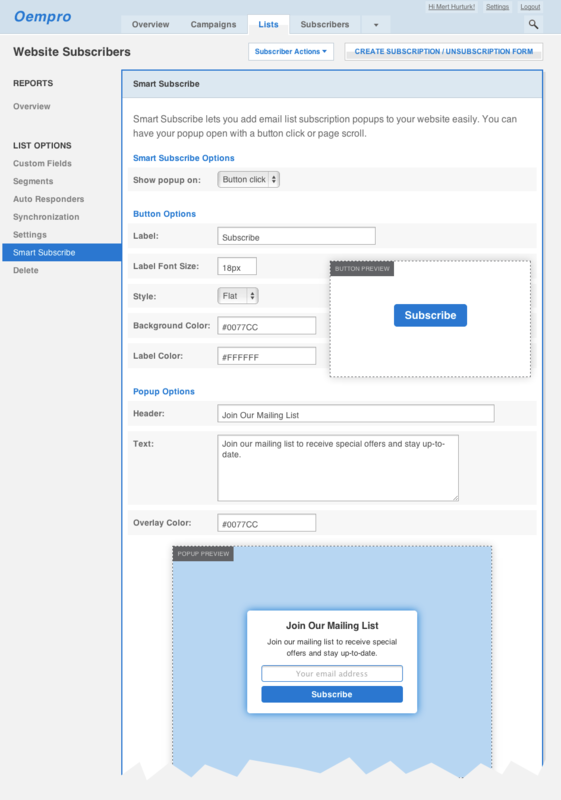 For example, you will be able to display a mail list subscribe form on the corner of the screen when visitor scrolls your website page. Or you will be able to trigger a subscription form whenever a link is clicked on the page. Stay tuned… Smart Subscribe Plugin is going to be released on our Plugin Store next week and it will be $49. Yes, you can add HTML code such as links. Cheers. The link above to get notified is not working?! that looks a nice plugin! It’s working, just tested. What kind of problem did you have?